A TV series – billed as a unique social experiment to create a new, self-sufficient community in the Scottish wilderness – has seen more than a third of participants quit. Cut off from the outside world, 23 strangers tried to ‘start again’ on Channel 4’s new reality show Eden. However, it would appear the Utopian dream is already in tatters as more than a third of the participants have walked out. 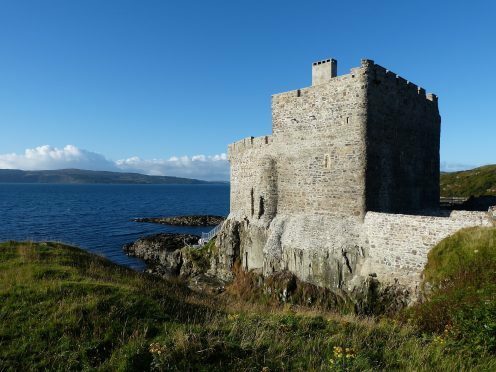 Eight of the original group have left the programme, which is based on the Ardnamurchan peninsula in Inverness-shire, including the camp’s two doctors, the paramedic and the fisherman. With no medical professionals left, the mass exodus has called the future of the radical television project – which is set to run until next spring – into question. The show, watched by more than two million people, found itself embroiled in a bullying row last month after the first participant walked out, with comparisons made to William Golding’s celebrated novel Lord Of The Flies. Viewers watched as life coach Tara Zieleman, 34, exited the gated community after she was branded ‘lazy’ by some of the men in the camp, who also plotted to limit the rations of the weaker members. Yet only a few weeks later, one of Miss Zieleman’s most outspoken critics, 25-year-old outdoor instructor Tom Wah, has also quit. Junior doctor Jenna Carr, 27, paramedic Sam Brown, 25, yoga instructor Jasmine Comber, 24, and fisherman and locksmith Lloyd Morgan, 37, are all understood to have left around the same time. It has now emerged that two more members have departed – junior doctor ‘Ali’ and cameraman ‘Ben’ as they are known on the show. Show insiders claim hunger, tiredness and boredom were the main reasons the eight left but say some had also become disillusioned with the concept and felt ‘they weren’t getting to achieve what they had hoped to’. Some of the escapees have kept a low profile while the show is off-air for summer but others have been enjoying the finer things in life and posting about it on social media. Mr Wah, from Burnley, Lancashire, who has been holidaying in France, shared photographs of himself kayaking in the sun-soaked Ardeche gorges with his 450 Instagram followers last week, writing #betterthanEden. Miss Comber’s Instagram page shows her sampling the nightlife in her native Brighton, attending music festivals and even performing on a tightrope. The youngest member of the group, Miss Comber was seen falling for 27-year-old camp chef ‘Stephen’ at the start of the show. In the latest episode, which showed footage from late spring/early summer, the couple were still very much an item but it is not known what will happen now she is unable to communicate with him. Miss Carr, from Sheffield, who runs a ‘private aesthetics’ clinic, last week posted a new, glamorous photo on Facebook of her enjoying a night out with three female friends.Morgan, whose skills as an angler had made him an integral part of the team, has been more critical of the show, questioning the lack of positive footage used on TV. The group entered the remote coastal site in late March, armed only with what they could carry – phones and other electrical items are prohibited. They had to build a shelter and plant food to last them 12 months on the site near the small village of Acharacle.